Vigil Service (Wake) usually takes place during the period of visitation and viewing at the funeral home. It is a time to remember the life of the deceased and to commend him/her to God. In prayer we ask God to console us in our grief and give us strength to support one another. Funeral Liturgy is the central liturgical celebration of the Christian community for the deceased. When one of its members dies, the Church encourages the celebration of the funeral liturgy at a Mass. When Mass cannot be celebrated, a funeral liturgy outside Mass can be celebrated at the church or in the funeral home. 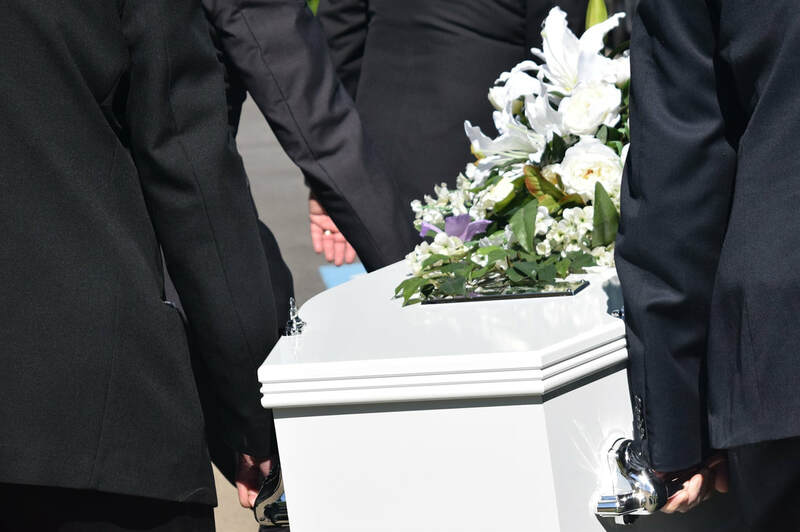 Rite of Committal (Burial or Interment), the conclusion of the funeral rite, is the final act of the community of faith in caring for the body of its deceased member. It is an expression of the communion that exists between the Church on earth and the Church in heaven: the deceased passes with the farewell prayers of the community of believers into the welcoming company of those who need faith no longer, but see God face-to-face. A word about Cremation: Due to the Catholic belief in the body as the temple of the Holy Spirit, as well as faith in the resurrection of the body, the Church does not encourage cremation. While cremation is not prohibited, the Church prefers that the body of the faithful member be present for the funeral mass. All remains are to be treated with reverence and to be buried or entombed. The clergy or pastoral ministers of the parish must be consulted before any liturgical arrangements are made with the funeral director. This provides the opportunity to have a clear understanding of the meaning and significance of the rites as well as for family members to participate in the rites themselves. Then, the arrangements will need to be confirmed by the funeral director. In making advanced arrangements for the type of funeral one would like to have, this same order of procedure is to be followed. For Funeral Ararngements, please contact Rebeca Carver at (772) 286-4590, Monday-Friday 8:30 am - 3:30 pm.